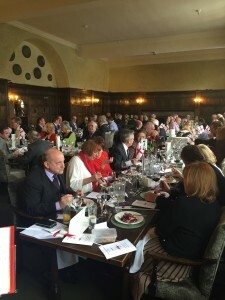 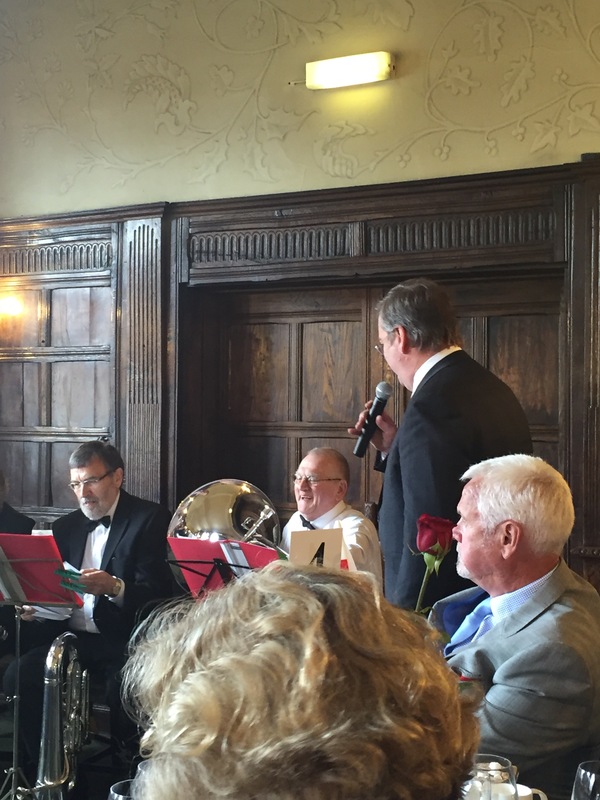 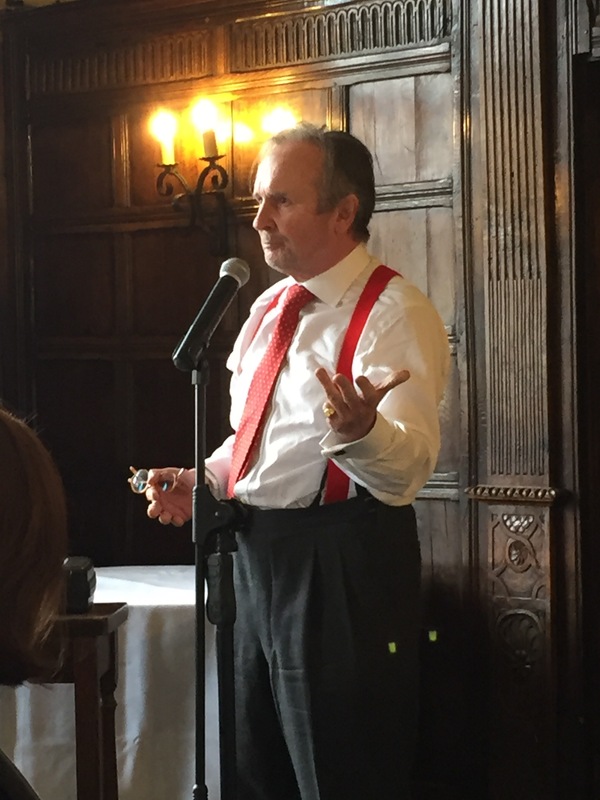 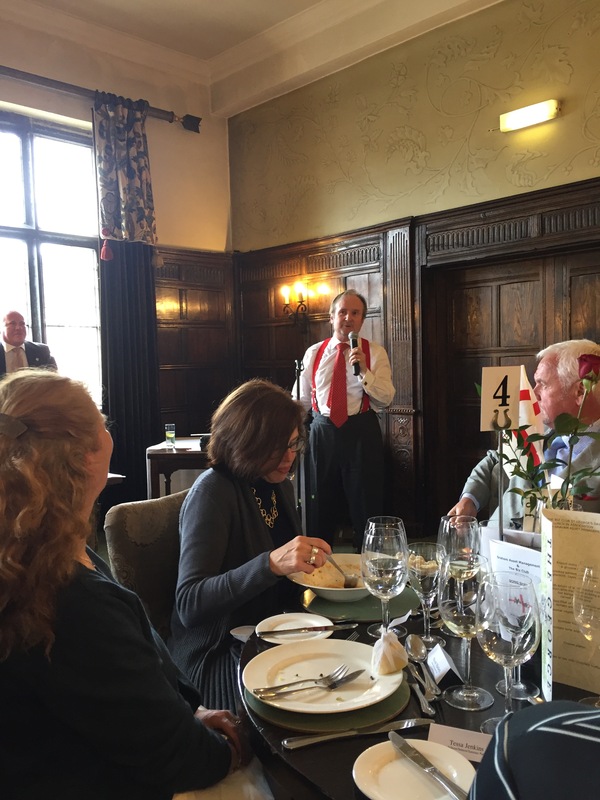 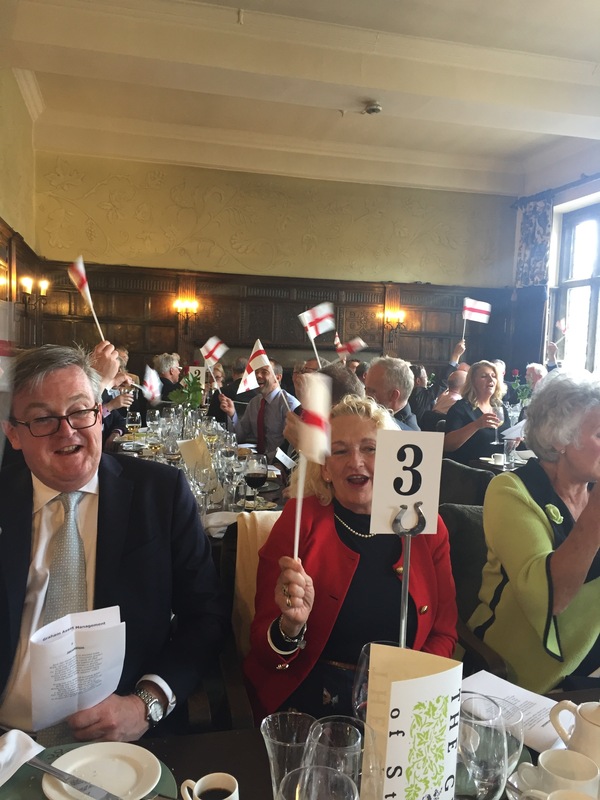 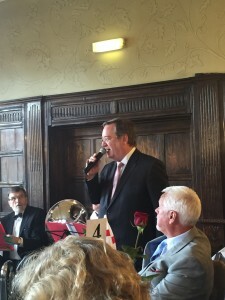 We once again had a wonderful St George’s Day celebratory lunch at The George Hotel in Stamford with a full house of over 70 guests. The lunch was sponsored kindly by John Graham at Graham Asset Management and we welcomed Mr Justin Urquhart Stewart as our guest speaker. We were also joined again by David Parker and his band for the ‘sing along’ at the end of the lunch, thank you to James Wheeler for leading this for us.